AMERICAN IDOL: Season 12 Auditions! Los Angeles Exclusive Video! 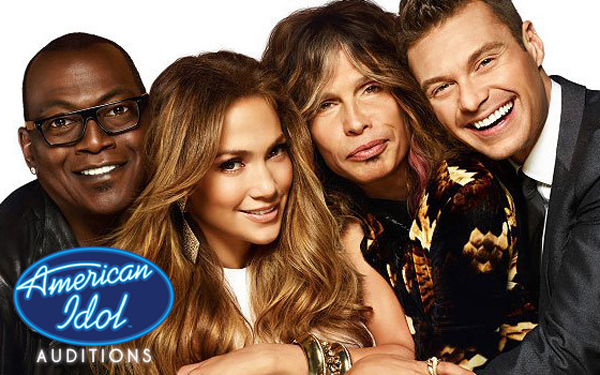 “American Idol” season 12 will be coming to the FOX airways soon. But, before that can happen, more talented singers must step in front of the producers of the show during an open-call audition. And get one-step closer to singing in front of the celebrity judges that are: Jennifer Lopez, Steven Tyler and Randy Jackson. The show already made it’s way through Los Angeles on June 7th. Our reporter and host Jules Sanchez was there. His memorable “When Judges Attack” YouTube episode happened during season one of “American Idol” when Sanchez was a contestant and the first to be sent to Hollywood. Watch his video below from the L.A. auditions of AMERICAN IDOL season 12. San Antonio, TX – Registration is June 13th; Charlotte, NC – Registration begins June 17th; Newark, NJ – Registration begins June 21st; Chicago, IL – Registration begins July 10th; New Orleans, LA – Registration begins July 15; Oklahoma City, OK – Registration begins July 18th.